First generation Prius (model years 2001, 2002, 2003) typically need a new battery by 150,000 miles, depending on how often they are driven. When the cars are driven regularly (every day, for instance) the batteries tend to last longer; we have several customers with the original battery well over 220k miles. Cars driven rarely can need batteries sooner. But it’s impossible to predict. 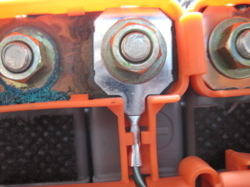 For more information on battery failure, click here. However, since battery replacement is common, when HV problems arise it is equally common that the battery is condemned prematurely. This is the case of two DTCs (diagnostic trouble codes) P3009 and P3030. If your car has either of these codes, we can repair the car for MUCH LESS MONEY while confirming that the battery itself is still usable. The following blog is dedicated to P3030. For more information on P3009 related to the battery, click here. For more information on P3009 related to the transmission, click here. P3030 translates to “High Voltage Line Snapped”. It sets whenever the HV Battery ECU detects an open circuit to one of the battery blocks. 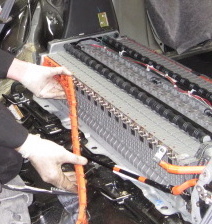 The Prius battery has bus bars that run down either side of the pack, to connect the modules in series; on one side of the battery it also runs “sensing wires” to each bus bar (effectively monitoring every two modules, which it calls a “block”). This is how the computer keeps track of total battery voltage (by summing the values of all the blocks) and the balance of those blocks. 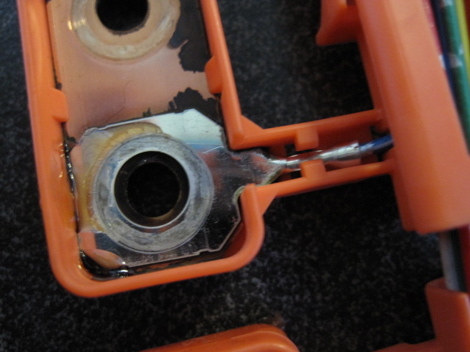 At this point you know there is a broken or corroded circuit in the harness, creating an open. 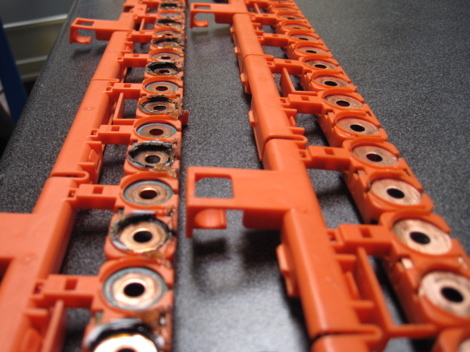 The sensing circuits are very small 22 gauge wires connected to thin flat tabs that mount at the bus bars, which are easily fractured. 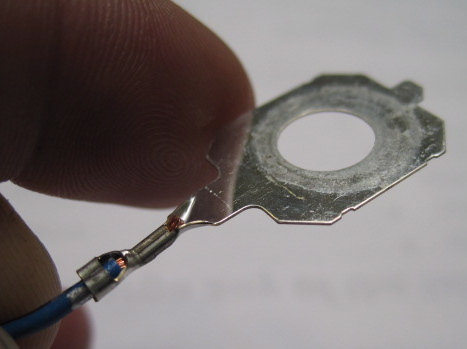 The fracture can be fine enough to create intermittent continuity or simply increase resistance in the circuit, such that the Battery ECU confuses the reduced voltage for a weakened cell. In this case the vehicle will also set DTC P3006. This is VERY VERY important because most techs will interpret P3006 as a bad battery at face, when really the problem is the sensing wire. Being able to differentiate between a valid P3006 and a bogus one is, frankly, a matter of experience: how many battery failures has a technician seen? Does this look like a typical weak battery or are the values strong, with only occasional voltage drop outs? 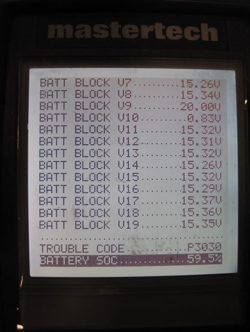 The “signature” of a failing battery is wide voltage swings under load (heavy assist or heavy regen) either between blocks or across the battery as a whole. 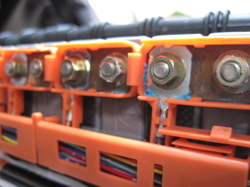 Whether the issue is a harness or the whole battery (or corrosion versus a whole battery, such as DTC P3009), the dealer approach is just replace the whole thing. 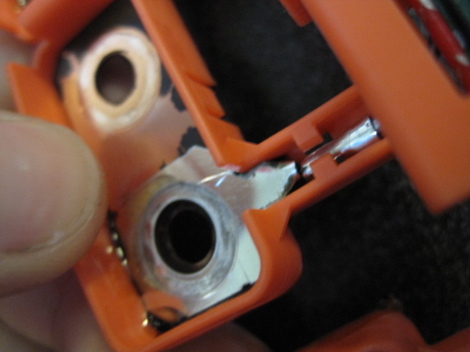 After all, a new battery will include a new harness, and have no corrosion. No one will know the difference. And wasn’t the car going to need it soon anyway? Here at LG, we see a worthy and reliable repair. As always we charge $60 to diagnose Prius warning lights, and in this case can confirm battery health as a part of that diagnosis.